Previously we talked about choosing a camera that will be reliable and how to handle it without losing any pictures. However, here are a few other preventative practices to help you never lose those cherished pictures. After recovering many lost photos for our clients, we found the two most common ways of losing your data on a camera is physical damage and camera mishandling. Below are 5 major factors to consider when using your camera; remember these they will keep your photos safe. The easiest way to lose pictures from your camera card is by not turning your camera off before removing the memory card. For some people, this may be a “no brainer”, but it is an easy mistake to make. 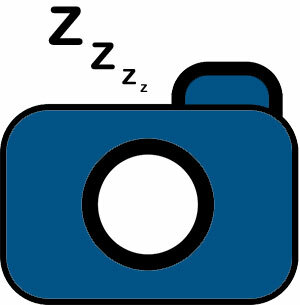 Make sure that your camera takes a Nap when you are removing your camera memory card. Prematurely removing camera memory cards can either corrupt the data on the card, or lose the photos. Sadly, digital cameras get dropped sometimes. Many photographers use a strap slung around their neck and attached to the camera to prevent any dropping. Wrist straps are also commonly used to protect cameras from being dropped. The physical damage of a drop can hurt the camera memory card and the data on it. Remembering Strap can save your camera and in turn, your precious memories. This isn’t so much a preventative measure for protecting your pictures you’ve already taken, but is for making sure you can take future shots. Most cameras come with a cap or protector for the lens of the camera. Using this Cap or protector is highly recommended to prevent any damage to your lens. If your cap is left off frequently, your lens is exposed to dirt and grime in the air that can affect the sensors in the camera and cause physical issues when taking pictures. If for any reason you need to clean your lens, there are sensor cleaning kits that can help. Digital cameras aren’t always the most robust and durable items. During transport or storage, digital cameras can take physical damage by being bumped or jostled. Alike “strap,” the physical damage can ruin not only the camera, but possibly the memories you have stored in it. To best prevent your digital camera from damage, have a protective carrying bag or case for your camera that provides cushioning on all sides and limits free movement. Wrapping your camera in this protective case or bag will make sure even in transport or storage, your pictures and camera are safe. After a long day or trip, the last thing you want to do is upload your pictures. But, storing them on just your card, can be dangerous. In a recent post, we talked about securing student work from being lost; this is no different. Although the photos are stored on your camera card, they are in a fragile state. Uploading your photos to your computer is an alternative; but what if the computer is corrupted or has data issues itself? The best way to keep your memories safe is to use either a cloud storage option or even a social media channels (facebook, pinterest, flickr) that will back up and store them safely. If you are wondering what good cloud storage options are for images, there are many choices. Three of the more popular, and often free cloud storage platforms are Google Drive, Dropbox and Picasa. Google Drive and Dropbox, while good, were not specially created for photos. Picasa, however, can not only store and share your photos, but also has options to edit them! There are many other file store options out there for ensuring your pictures are Trapped in a safe place, just pick one you are comfortable using and start securing your photos. If for any reason your camera had a malfunction, you lost pictures, or something went wrong while handling your camera, we are here for you to recover those memories you don’t want to lose. Get more information on our camera card data recovery here or you can submit your case to our specialists. We service nearly any storage device that needs data recovered and have many locations across the country that can serve you. To see our service center locations click here, otherwise give us a call at: (888) 288-3282!